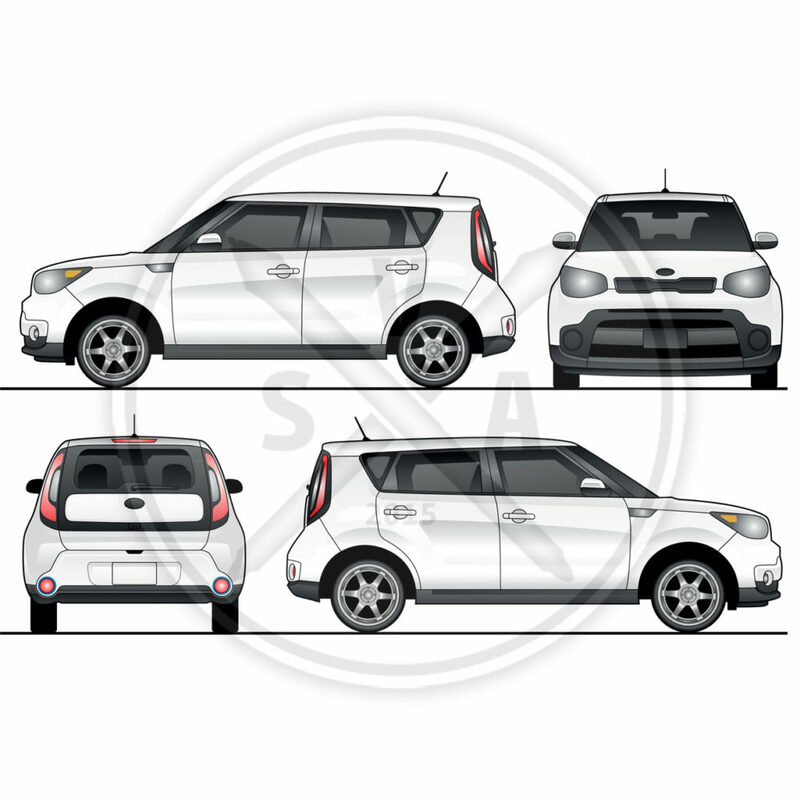 Stock vector wrap template of a Kia Soul car. Included in this download is a white version as shown and a blue color variant. Not created for scale measurements – no real world measurements. Uses: Suitable vehicle wrap designs and other decal packages for a Soul or Soul EV. 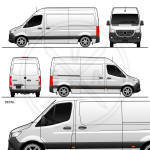 Create branded graphics for business vehicles using this vector graphic as the basis of a mockup.